There’s something magical about sitting in the middle of a wooded area with nothing but trees and distance between you and that desk at the office. 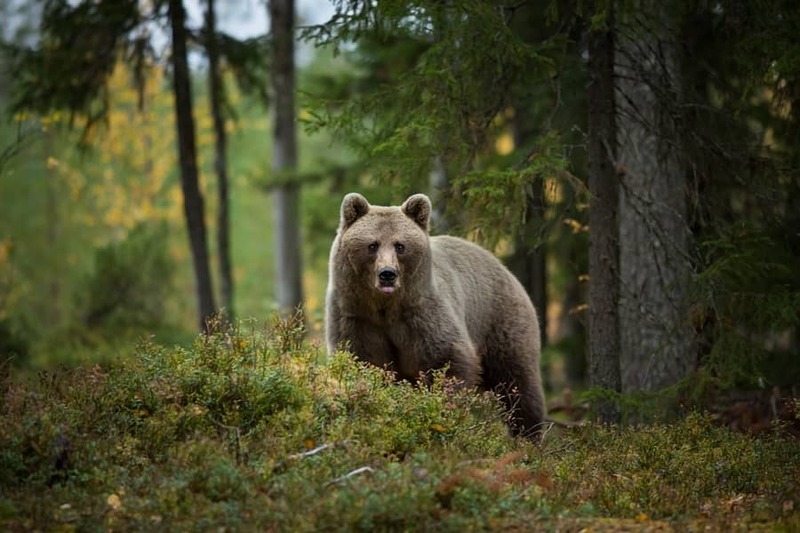 Maybe it’s the babbling brook a couple clicks down from your campsite, or just simply knowing that you can be mauled by that gigantic, brown dog you see off in the distance that keeps checking you out. But really, if you’re going camping for fun and not looking for the full Bear Grylls experience of drinking your own urine to survive, there are some ways to make the experience more enjoyable. The rugged camper who walks into a densely wooded forest packed with only a compass, 14-inch hunting knife, and a stern look of judgement at any being that dare disrespect mother nature by bringing any trace of technology into her prized greenery. The RV camper with the pull-out family bench, big-screen TV, electric smoker, and enough bug spray to open up another hole in the ozone layer. You may fit into one of these stereotypes, but that doesn’t make you a good or bad camper. So if you’re like the rest of us who want one foot in both “camps” and like to camp because it’s FUN, here are some simple to advanced camping hacks to make your trip a memorable one. There’s nothing worse than waking up from a long night in the wilderness with a giant knot on your back. Your morning hike you planned is going to be a painful reminder with each step that humans were made to sleep on a pillow-top mattress, not a patch of dirt. If you want to enjoy a cup of Joe but your boss caught you in the breakroom trying to “borrow” the Keurig machine, try this method. 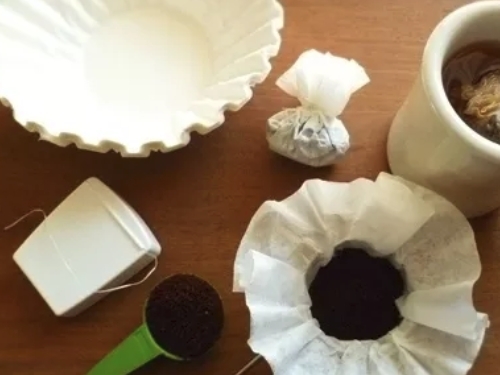 Pack your coffee grounds (enough for a single serving) into the filter, tie the floss around, and submerge that bad boy into your hot water. Super easy! 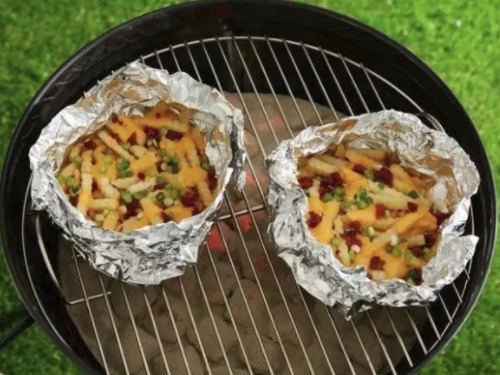 By packing a meal in foil ahead of time, you can grab one out of the cooler and pop it over the fire to have an easy-to-cook meal in no time. Think of all the time you’ll save for more fun activities like catching butterflies or treating your excruciatingly painful sting from that hornet that you looked just like a butterfly. Storing your matches in a waterproof case is Camping 101. However, doing so usually means you don’t have that strip on the side of the box to strike your match. 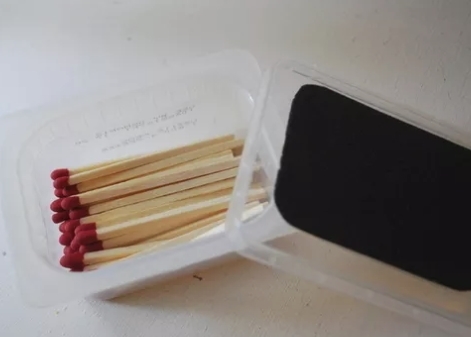 Keep a small strip of sandpaper along with your matches to always have a way to strike that match. Bonus Tip: Use your 5 ‘o’clock shadow to strike your match and show off how rugged you are! 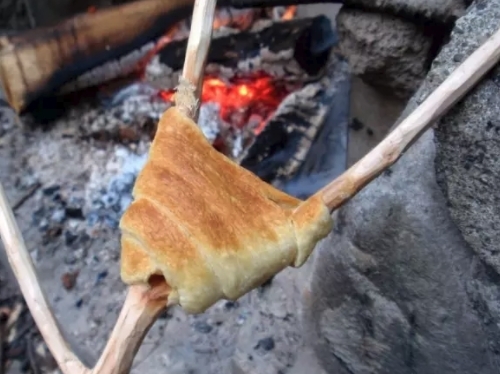 Ignore the directions for a 400 degree oven for perfectly browned crescent rolls and cook them like a true wilderness buff! Wrap the dough around your s’mores pokers and heat them over an open fire until they’re golden brown. 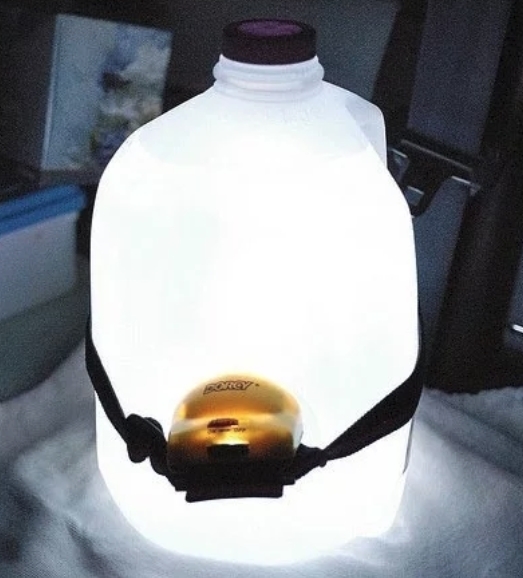 The title explains it all but one more time for good measure: strap an LED flashlight to a water jug to make a lamp. The LED light ensures that it won’t burn out or run through your batteries too quickly and the water jug’s handle allows for easy travel. 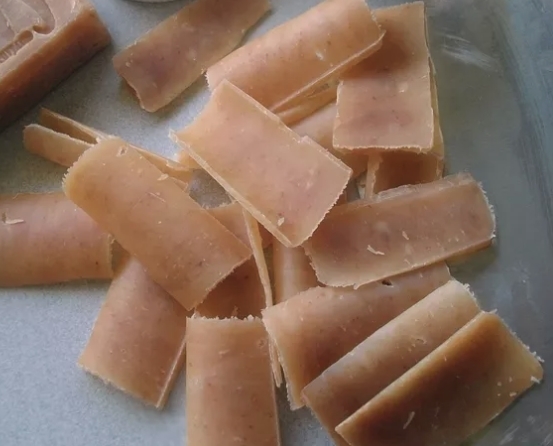 You can use an actual kitchen knife or a vegetable peeler and cut little slices of your soap, just big enough for single use. Who wants to carry that disgusting, wet bar of soap around covered in dirt and leaves because you threw it at that butterfly-hornet hybrid. 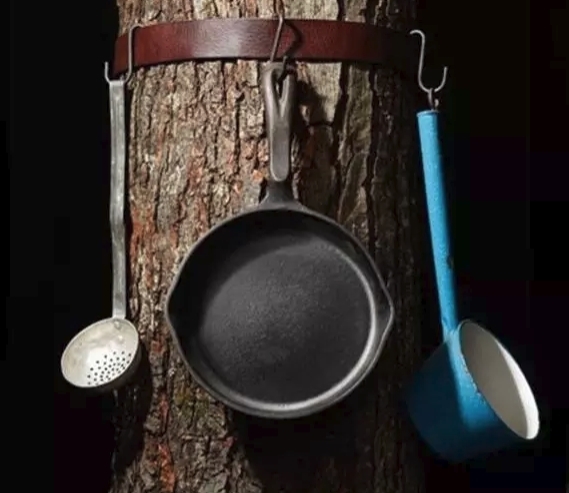 Tie a belt around a tree, add some hooks and you can hang your cast iron pan and other cooking tools so they are easily accessible. Please don’t start nailing hooks into a tree, that’s just rude. 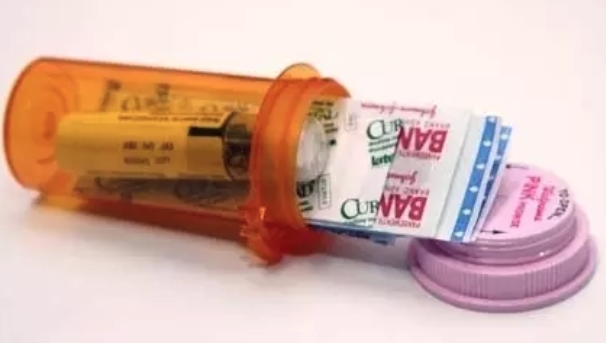 Use a prescription bottle to tuck away things that need to be waterproof including items like matches, band-aids, batteries, and even prescriptions. 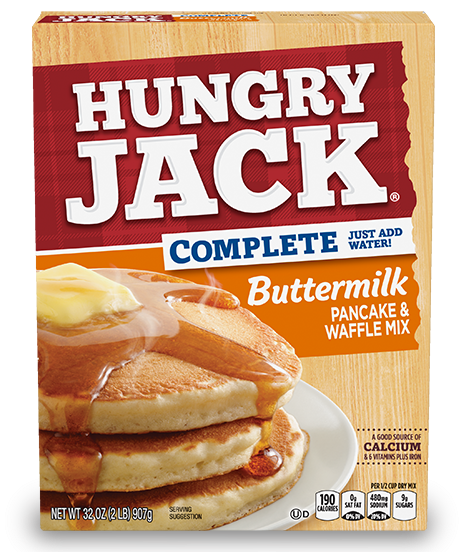 Make sure to bring pancake batter that only requires water. It’s easy to use and honestly, tastes close enough to the regular stuff. 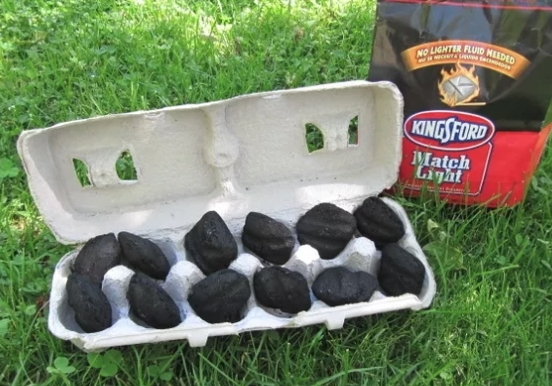 Throw some match light charcoal into an egg carton to start your campfires. Not only is this a quick solution to a quick flame, but it’s portable. Pack a few of these before heading out to the campsite. 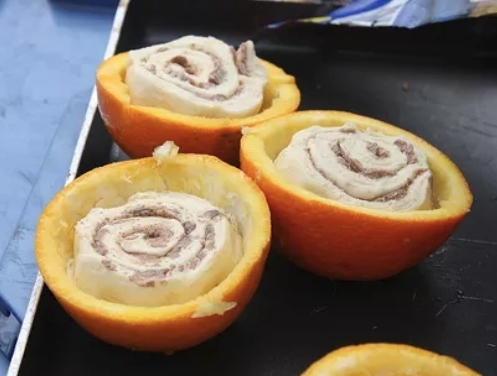 You can cook your cinnamon rolls in a halved (and empty) orange peel. Place this combo in your pan and heat over the open flame for a delicious breakfast. 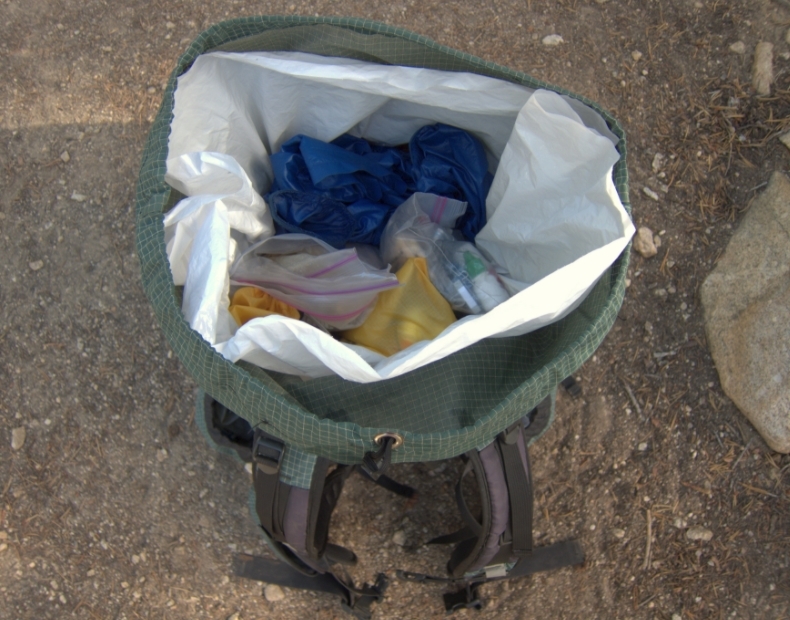 Use a garbage bag as a liner inside your backpack so that all the stuff inside stays dry. 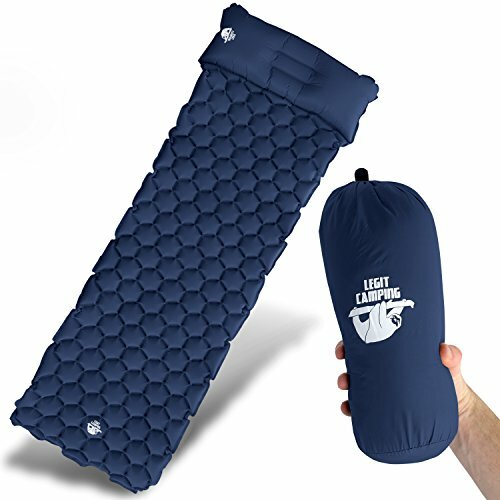 Whether a rainstorm hits your campsite or you decide to take an impromptu tumble down into the stream, the stuff inside your backpack will be nice and dry. 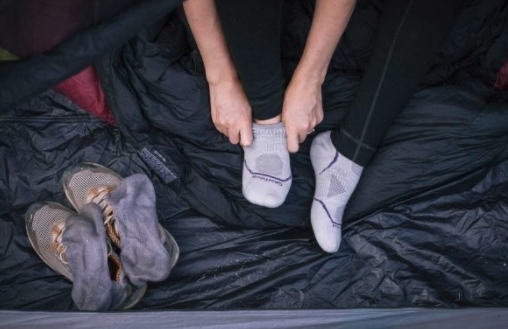 Keep one pair of dry socks that you only use when in your sleeping bag. This way, you’ll always have a pair of dry socks to go to bed in. This also keeps you from jumping into your sleeping bag with wet socks, keeping your sleeping bag a dry, safe space. An inflatable kayak is much more convenient to pack, with most models weighing under 40 pounds and can easily fit in the trunk of any car. 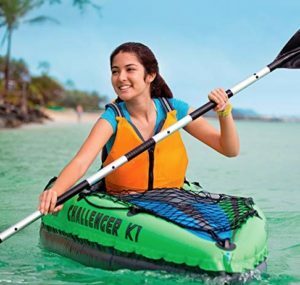 If you are going to be near a river or lake and want to have some fun in the water, choose an inflatable kayak and you won’t have to lug a traditional kayak on the top of your vehicle. Check out our 8 best inflatable kayaks reviews. 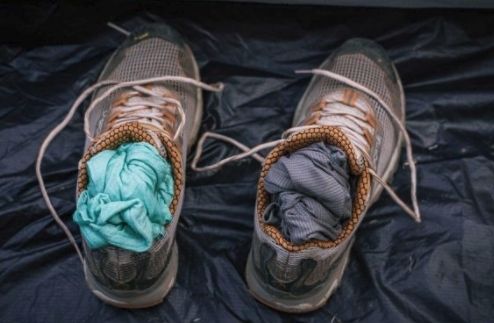 Stuff your wet shoes with any dry clothes you have available and keep them in there overnight. This usually dries your shoes but just enough for you to still remember that you actually can’t clear that 15 foot wide stream while taking a selfie. 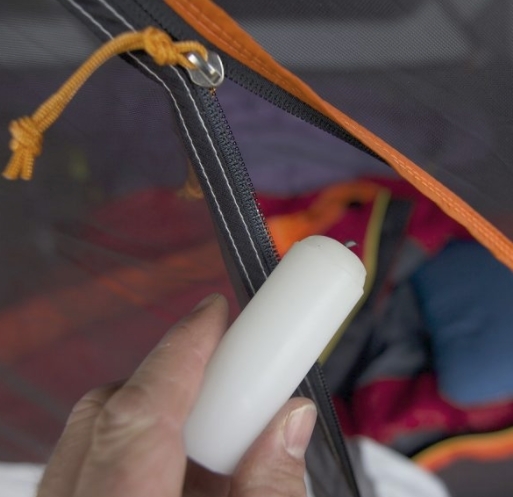 If your sleeping bag or tent zippers are sticking, apply some wax to it from a candle. No, not a lit candle. 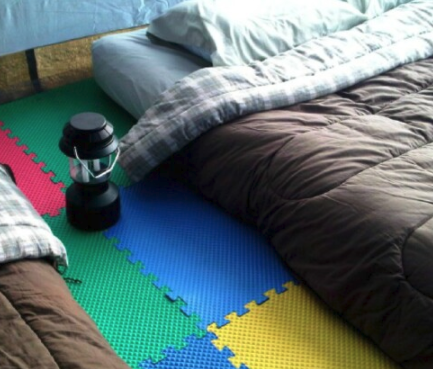 Chances are, when you’re camping you have your water bottle near you at all times. 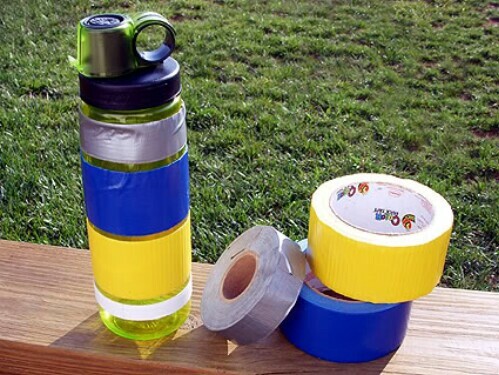 Wrap some duct tape around your water bottle so that you have access to any duct tape whenever you might need it. 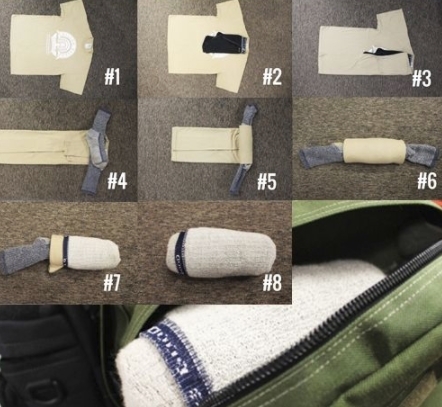 Use the diagram below to roll your shirts so you can save precious space in your camping gear for the important things, like that parachute hammock you can finally test out. 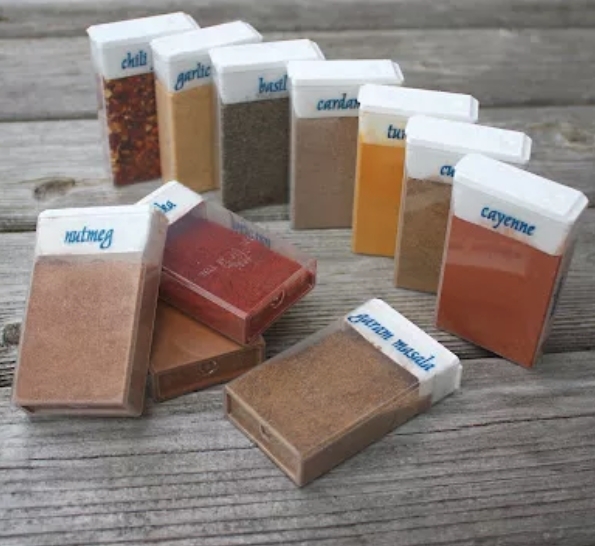 Keep your spices dry and ready for use by storing them in Tic-Tac containers. 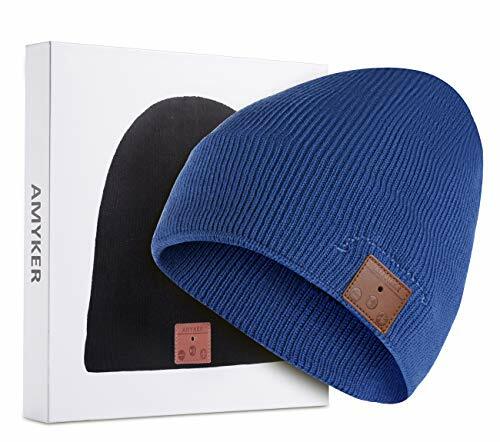 Easy to store, use, and pack away. 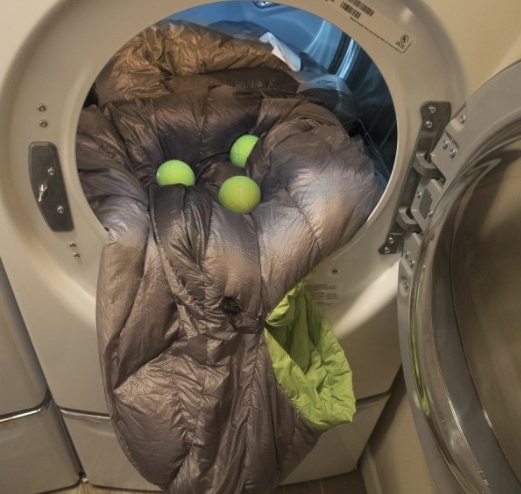 When drying your sleeping bag in your drying machine, add a couple tennis balls to keep your sleeping bag nice and fluffy. Find other ways to make your camping experience more enjoyable with our list of the best parachute hammocks or the best tent air conditioner.